How To Buy The Best Nursery Furniture - Which? Advice on what to look for when shopping for your nursery, so you can create a safe, comfortable and well-organised room for your little one. When you're setting up a nursery for your new baby, there's a lot to consider – from all-important aesthetics, to durability, safety and cost. Read on to learn about the key pieces of furniture you'll need, such as cots, and what to consider when choosing. Who makes the best nursery furniture? Want to know where to shop for nursery furniture? Find out which brands are the best for nursery furniture, as rated by parents who've bought from them. We cover brands including John Lewis, Mamas & Papas and Mothercare. Each is rated on ease of use, assembly, sturdiness and value for money. Read the best nursery furniture brands to find out which are the best places to shop. How much do I need to spend on nursery furniture? Nursery furniture can cost from about £200 for a cot and dresser from a more budget brand, to almost £2,000 for a premium set with a cot, dresser and wardrobe. You will also usually need to buy a cot mattress separately. How much you spend will depend on how much furniture you need and which brand you go for. See below for more on what individual pieces can cost you. If you work out which pieces you need in advance, you can shop around to get a good deal. It's worth thinking about how long you want things to last you, and whether you can keep costs slightly lower by buying a set instead of separate pieces. What nursery furniture should I buy? Should I buy a Moses basket? Starting with the basics, you will need a place for your baby to sleep. A lot of parents will go for a Moses basket for a newborn. 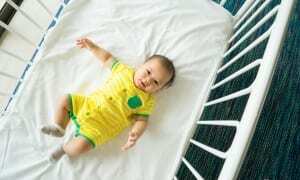 But as this will only last until your baby reaches three or four months old, you might decide to go straight for a cot – depending on your budget. If you're wondering whether it's worth investing in a Moses basket, read more about the pros and cons in our guide to choosing a Moses basket. Either way, you'll be needing a cot or cot bed at some point, so this is an essential piece of kit. A cot bed is a cot with removable sides and end panel so it can be converted into a toddler-sized bed. These are increasingly popular as they have more longevity than a normal cot. They can also help alleviate the stress for your child of adjusting to a new, bigger bed when the time comes. Cot beds are larger than cots, so if space is an issue this might be something to consider. In terms of budget, though, a cot bed won't necessarily be more expensive. Find out how to buy the best cot bed. You'll most likely need to buy a cot mattress separately, and current advice is that you need to buy a new one for each child. Before you shop, read our guide on how to buy cot mattresses. If you have the space and budget, a changing table can be a really useful purchase. You'll be changing thousands of nappies in the first year, so it's good to have a well-organised and comfortable setup for doing so. Many parents swear by a good changing table, and if you buy one that doubles as a dresser, it can be used in your child's room for longer as they grow out of nappies. But if you're sticking to the essentials, you can get by without one: some parents use a changing mat on the floor or bed or use a changing mat on top of a regular dresser. Most parents find a chair in the nursery useful, but it doesn't have to be a specifically designed nursery chair if you're looking to reduce your nursery spend a bit. Choose a very comfy chair and ideally one with a bit of a rocking motion to help soothe your baby to sleep. For your standard big nursery basics, such as a cot, cot bed, wardrobe and chest of drawers, colours are still mostly limited to whites or different shades of wood, with some ranges occasionally dropping in an on-trend colour or finish, such as grey or ash. If you want something more exciting, Mothercare and Cosatto have different options. Most parents choose to add personality to a nursery by accessorising with smaller items, such as toy boxes, bookcases and artwork, which come in flashier colours. After all, you might want your nursery furniture to last for more than one child, so you don't want it to be going out of style too soon. Does nursery furniture have to match? Of course not. But you might find you get a better deal if you buy several items brand new from the same brand. The best time to build your nursery furniture is when it's right for you. Some parents are superstitious about building it too soon. If you're pregnant and you're going to have to tackle the DIY on your own, aim do it before you get too far along - the larger you are, the trickier it may be to deal with all those bits of wood. The main things your baby is using the nursery for are sleeping, changing, feeding and playing. So when you're designing your nursery layout you want to consider these four things. Are all your changing items within reach of each other, for example? You also want to think about safety. As your little one gets older you want to make sure there's no bookcase near the cot that could end up becoming a dangerous climbing frame. Also make sure the cot is positioned away from other potential dangers, such as blind cords or open windows. Make sure you keep longevity in mind when buying furniture for your nursery. Not only is it important to have sturdy and durable pieces, you might want to think about whether you'll be replacing things a few months in to your baby's life. Of course, you need to keep in mind the specific needs of a newborn baby, but you can also create a space that will grow as your child does. Furniture that is adaptable or convertible can offer good value and help your child maintain a sense of comfort and space in their own room as they get bigger. If you're worried about how to properly kit out a smaller room, there are ways you can cleverly maximise the space you have. Stick to the basics: you might want to either jettison a changing table – by using a changing tray on top of your cot, a wall-mounted changing unit or a mat on the floor – or make sure it doubles as a dresser so that you don't need two pieces in the room. Think about other furniture that can serve a dual purpose, like a folding crib or bassinet that can double as a playpen. Think about the size and placement of your baby's cot. If they're likely to be sleeping in your room for a while, you could use a bedside crib or a smaller cot in your bedroom, freeing up nursery space for other furniture. Be clever with storage: under-cot storage, hanging nets and wall shelving or hooks can help you keep stuff – books, toys, extra nappies – out of the way for when you need it. According to the Twins and Multiple Births Association (TAMBA), many parents find that putting their babies to sleep in the same cot (which TAMBA calls co-bedding) works well, at least for the first few weeks or months. TAMBA says that research has shown that sleeping similar-sized young twins in the same cot does not mean they wake more often; in fact, their sleeping patterns become more similar. Multiples that are used to co-bedding do not disturb one another. It is not recommended that you co-bed in a Moses basket owing to the limited space and the risk of overheating. In the early weeks, when your babies can't roll over onto each other, they can be placed side by side on their backs at the bottom of the cot in 'feet to foot' position ie with their feet at the bottom of the cot or crib so they can't wriggle down under the covers and get their heads covered in bedding. Or you could use a cot bed and co-bed your babies (following the feet to foot advice). Cot beds are bigger than normal cots and you can adapt them to become a toddler bed later on. Of course you still need to be careful that they’re not rolling on top of each other. Follow all the same safe sleeping advice as for single babies – it applies to multiples, whether they are in a cot together or not. 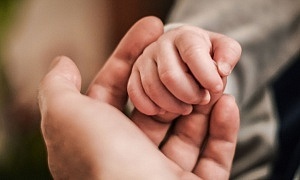 It is particularly important that all the advice on reducing the risk of cot death is followed for babies who are born at a low birth weight (under 2.5kg or 5.5lbs) or were born before 37 weeks (multiples can often fall within this category). For triplets or higher order multiples, co-bedding all babies in the same cot while they are still small enough to fit is an efficient use of space. However, there has been no specific research undertaken on sleeping arrangements for triplets and higher multiples. If three or more babies are sleeping together, parents should be mindful of any size discrepancies and take note of whether the smallest baby is crowded by the others if placed between them. If you choose to co-bed triplets and higher multiples, it is important to ensure that parents keep a very close eye on them and move them when they get more mobile. With the significant cost involved in buying furniture for your nursery, the temptation to go for second-hand pieces is understandable – but always keep safety in mind. First, we don't recommend buying a second-hand cot mattress – the safest option is to go for a new one, because of the risk of contamination and structural damage to mattresses that have been used. We'd also advise caution when considering a second-hand cot bed. If you think you've found a good deal, consult our second-hand cot and cot bed safety checklist (scroll to the bottom) before you buy.